Time is run out for messing around. K-State has won 8 in a row and has built a commanding lead. 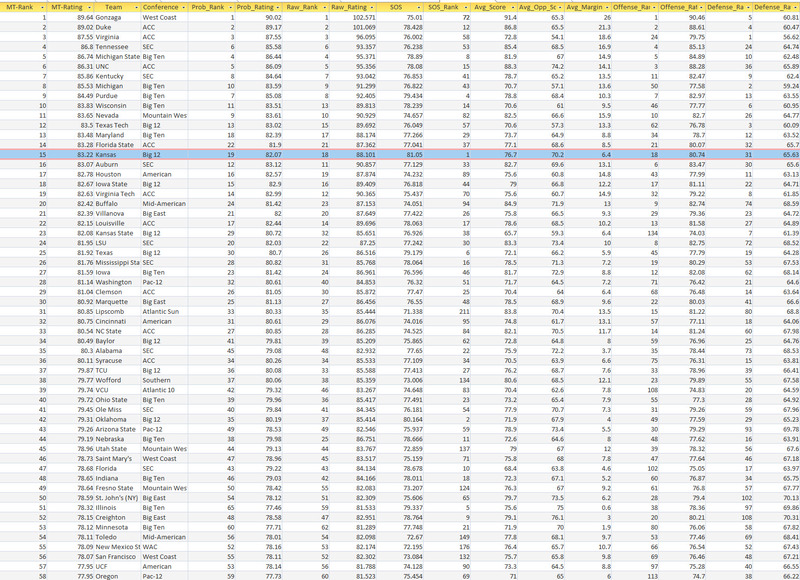 KU, fortunately is still in second. K-State defeated Baylor in Waco. That was a huge victory for them. Baylor fell from 2nd going into yesterday to 6th. That shows how close this race is. Texas plays Kansas St. in Austin. Kansas desperately needs Texas to win that game. We have another must win in Fort Worth against TCU on Monday. It may already be too late for KU since we do not control our own destiny. If we win and K-State loses this next game, at lease we control our own destiny. As for the DPPI, Texas Tech passed Kansas with the win in Norman. Texas Tech is now ranked 12th. Kansas is ranked 15th. Kansas St. continues to climb the rankings and is up to 23rd. Oklahoma is moving squarely onto the bubble. 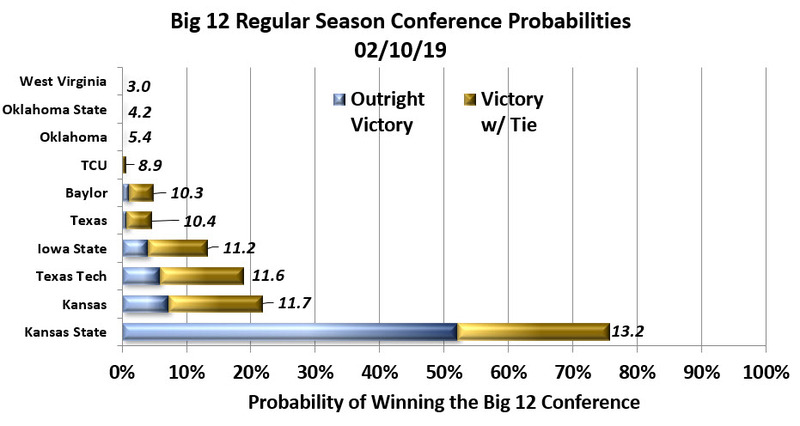 K-State now has a 76% probability of winning at least a share of the Big 12 and a 52% probability of winning outright. Iowa State's home loss dropped them to 4th and Texas Tech moved back to 3rd. 2nd (Kansas) through 6th (Baylor) are separated by 1.4 games which means every game will see a shuffling, especially if it is a home loss or a loss against a non-contender.